Make chilly weather bearable with a bonnet. 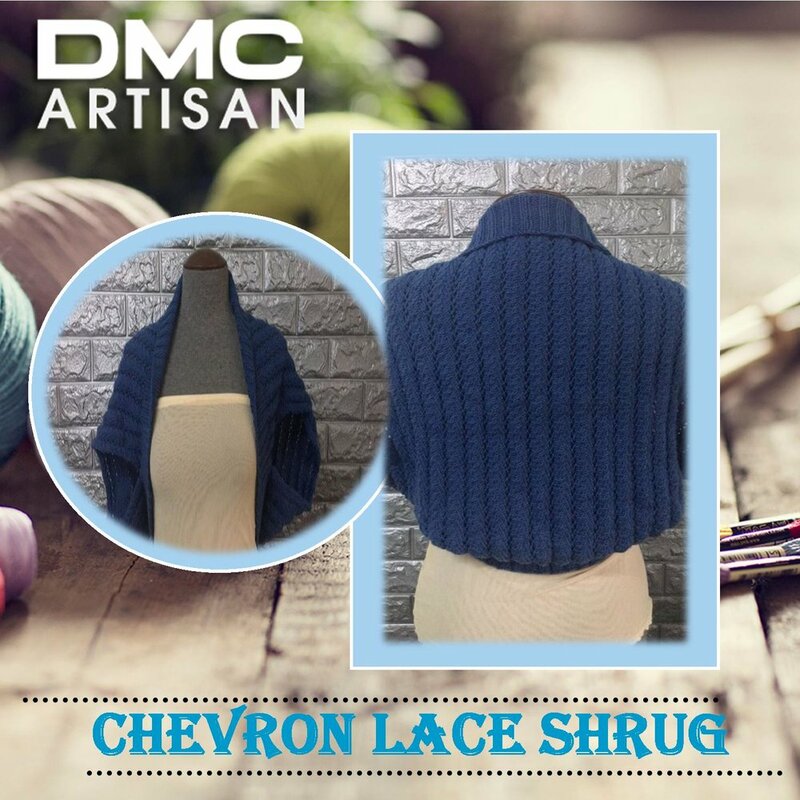 Use DMC Woolly yarn which is 100% merino wool which naturally protects against the suns harmful rays and provides a great buffer against the cold. 1. Tie the ends of the yarn and slit it on your knitting loom. 2. Do a cast on by doing an e-wrap on all the pegs. An e-wrap is simply wrapping your peg from the back towards the front. Continue wrapping until you reach peg 40. 3. Place a second e-wrap around each peg. 4. Starting on peg 40, using your loom hook, lift bottom loop over top loop (hook over). This is the knitting part. 5. Continue e-wrap and knitting until you have 18 rows. 6. Grab your cast ons, fold it towards the pegs and insert. This will be the brim of your bonnet. 7. With the cast ons on the pegs, lift the bottom loop over the top cast on loops to seal the brim. 8. Continue with the e-wraps and knitting until your bonnet measures 8-9 inches. 9. To finish your bonnet, wrap your yarn around the whole loom and cut. Starting from the first peg, put your yarn below the loop, grab the loop upwards and pull out. Continue doing this until you finish all pegs. 10. Release your loops from the knitting loom. Create pompoms and attach on top of your bonnet. With size 8(5mm) and two strands of yarn held together, cast on 97 stitches using the knit cast on method. Join using the magic loop method, be careful not to twist your stitches. Work the rib pattern (K2, P2) for 15 rows. Place marker at the end of the row. Start working the dash stitch pattern 7 times. For longer beanie continue working the dash stitch pattern before decreasing. Bind off using loose bind off method: K2tog tbl (knit 2 together through back loop). Row 1 – 4: K1, P1 around. Row 5: Slip 6 sts to cable needle and hold at front of work. (K1, P1) next 6 sts, then (K1, P1) 3x from cable needle. Row 11: (K1, P1) next 6 sts. *Slip 6 sts to cable needle and hold at back of work, (K1, P1) next 6 sts, then (K1, P1) 3X from cable needle. * Repeat from * to * until 6 sts remaining. Slip 6 sts to cable needle and hold at back of work. Remove marker, (K1, P1) next 6 sts, return marker, (K1, P1) 3X from cable needle. Row 12: K1, P1 around. • Cast on 169 stitches with size 4mm/US6 knitting needle. Place marker and join in the round using the magic loop technique. Make sure there are no twisted sts. • Work garter stitch pattern 3 times. • Work Lattice Cable Pattern 3 times. • Continue with K1, P1 until entire piece measures 19 inches. • Begin decrease. K2tog around. (84 sts). • Knit every stitch around. • K2tog around (42 sts). • K2tog around (21 sts). • K1, K2tog (7 times). • Bind off. Cut enough yarn and with your tapestry needle pull it through the remaining sts. Fasten off. Knitted double seed stitch on a 4mm/US6 needle to get 26 sts=4"
STEP 2: Leave Cable Needle in front of work. STEP 3: Knit the next 3 stitches on knitting needle. STEP 4: Knit the next 3 stitches on cable needle. STEP 1: Slip 3 stitches into cable needle. STEP 2: Leave Cable Needle at the back of your work. Cast on 71 stitches with size 4mm/US 6 knitting needle. Work Double Seed Stitch Pattern 14 times. Work Double Seed Stitch Pattern 10 times. On first row place marker on first and last stitch. Bind off. Cut enough yarn and with your tapestry needle pull it through the remaining stitches. Fasten off. Cast on 33 stitches with size 4mm/US 6 knitting needle. Cast on 62 stitches with size 4mm/US 6 knitting needle. Work Cable Pattern 14 times. Sew Side Panel to body of bag. Location: Sew bottom part of side panel in between markers of bag body. Sew bag sides together. Sew knitted cable piece on top of knitted body. Locate the center. Attach magnetic clasp on both the front and the back center of cable piece. Fold cabled piece in half vertically and sew the other side to the inside of the body. Attach handles to body of bag. The pattern is divisible by 4. The cowl is worked in the round on circular needle. Cast on 192 stitches with circular needle size 4mm/US 6 and Color A. Place marker and join in the round. Work in stockinette stitch for 8 rounds.Next Rnd *k2tog, yo* around the entire row. Afterwards work the stockinette stitch again for 8 rows. Fold the piece with both of the stockinette wrong sides together. 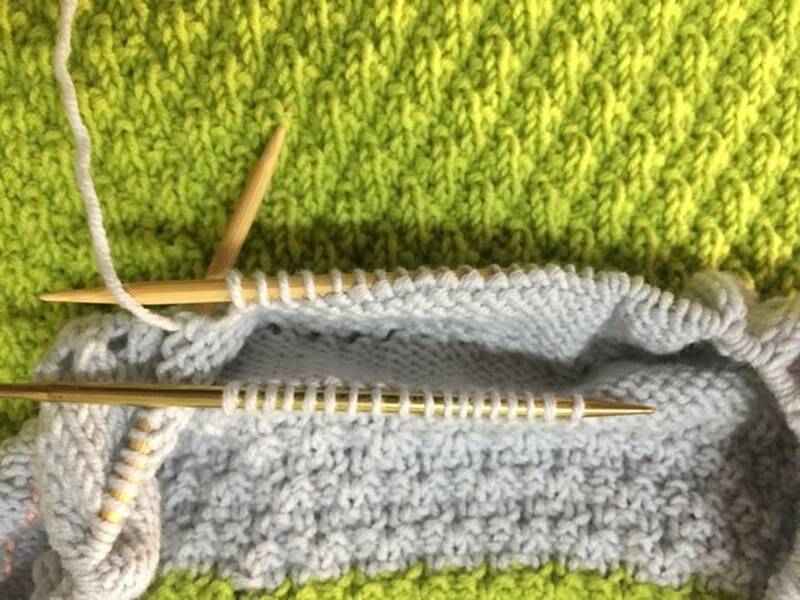 Pick up the cast on stitch with the tip of you needle, and then knit both the cast on stitch and your current stitch together. Continue with this process around the entire row. Work the seersucker pattern for 2 rounds. Break yarn, leave enough yarn for grafting. With Color B, work the seersucker pattern for 9 rounds. Break working yarn leaving enough tail for grafting. With Color A, work the seersucker pattern for 2 rounds. Work in stockinette stitch for 8 rounds. Next Rnd *k2tog, yo* around the entire row. Work the stockinette stitch again for 8 rows. Get another circular needle size 4mm and pick up all the stitches from the first row of stockinette. 2. Fold the piece with both of the stockinette wrong sides together. 5. Now that you have two stitches on your right needle pass the first stitch over the second stitch. 6. Repeat steps 3 and 5 until your all done. Break yarn and with your tapestry needle pull it through the remaining stitches. Fasten off.